The earth weighs 6.6 septillion tons. 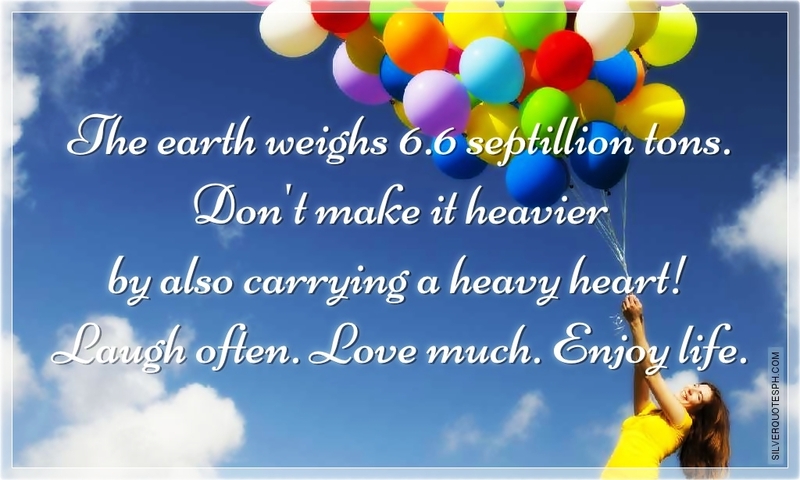 Don't make it heavier by also carrying a heavy heart! Laugh often. Love much. Enjoy life.